Steward of Savings : FREE La Roche-Posay Lipikar Soothing Relief Eczema Cream Sample! 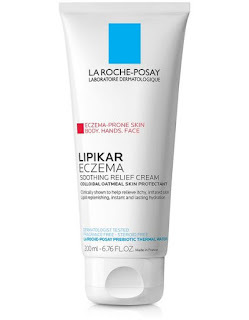 FREE La Roche-Posay Lipikar Soothing Relief Eczema Cream Sample! Try a FREE La Roche-Posay Lipikar Soothing Relief Eczema Cream Sample while supplies last, just complete FORM with your deet's and expect freebie in 4-6 weeks!